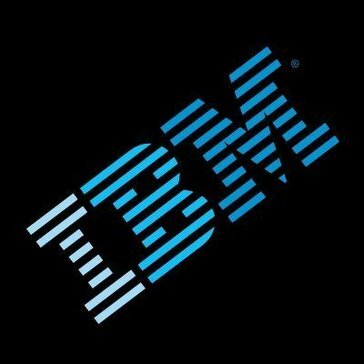 Merchandising Insights Solution from IBM gives you deep behavioral insights into your customers' shopping patterns, allowing you and your trading partners to improve the effectiveness of your marketing initiatives and merchandising plans. Work for Omni-Channel Merchandising Solutions? Learning about Omni-Channel Merchandising Solutions? What Retail Assortment Management Applications solution do you use? Oracle Retail's planning suite empowers retailer planning teams to leverage retail science to drive intelligent and localized assortments without the increased overhead of data scientists. Designed to address inventory challenges unique to short-lifecycle, fast-turn products in AFA. As ex-retailers and former planning executives, we have deep industry knowledge to help you maximize the use of technology to drive your business forward. The only merchandising system developed from the ground up to include a fully-integrated business intelligence system. Merchandise Financial Planning is a high-level approach to setting an organization's sales, margin and inventory targets. During this step in the retail planning process, merchandise planning teams can plan their business without getting caught up in the lower-level details of the product hierarchy. Wholesale Suite is built on best practices to support fashion, seasonal, and replenishment-based merchandise planning and execution. Unlike vendors who force fit store-based retail solutions for wholesale, we have been perfecting 100% wholesale-based solutions. Island Pacific SmartPlanning is a comprehensive, yet easy to use, system for ensuring you have the tools and resources to make the right planning decisions. Island Pacific SmartPlanning is a sophisticated, intuitive and integrated support tool that helps with merchandising across all channels, from planning right through to assortment, allocation, and replenishment of stock. Transform your retail experience but don't go it alone. An experienced retail service provider can help you to navigate through this change and implement strategies built to win. See beyond today and envision the possibilities with NCR Retail Services. Enable quick response as demand changes to deliver a consistent customer experience across channels. * We monitor all Omni-Channel Merchandising Solutions reviews to prevent fraudulent reviews and keep review quality high. We do not post reviews by company employees or direct competitors. Validated reviews require the user to submit a screenshot of the product containing their user ID, in order to verify a user is an actual user of the product. Hi there! Are you looking to implement a solution like Omni-Channel Merchandising Solutions?